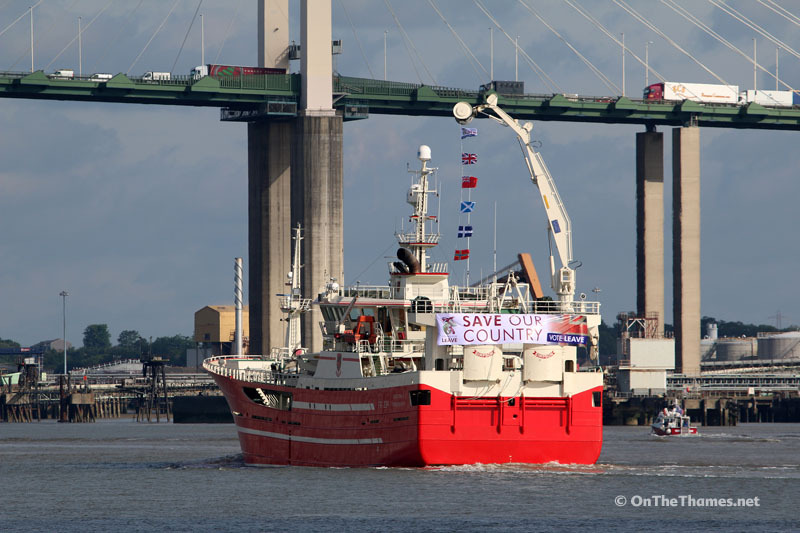 DOZENS of fishing boats from around the country sailed up the Thames this morning as part of the campaign in favour of leaving the European Union. 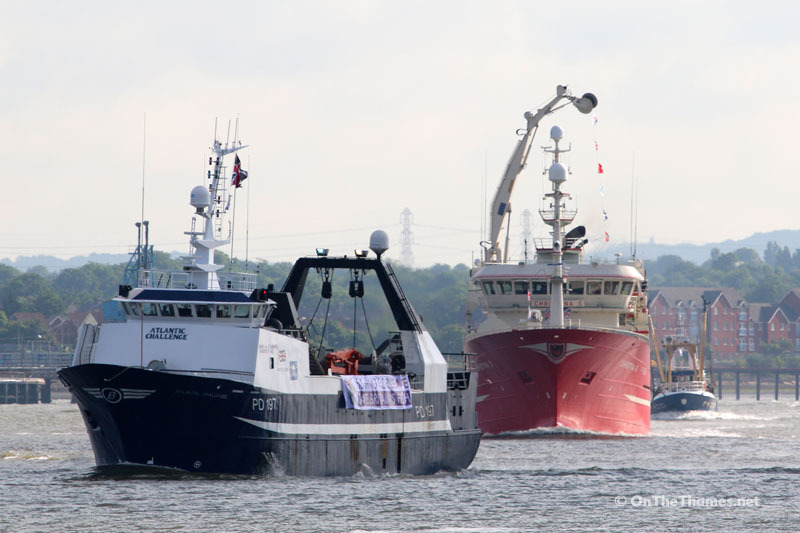 The flotilla of vessels from Fishing for Leave made its way up the river to arrive outside the Houses of Parliament in time for Prime Minister's Questions. 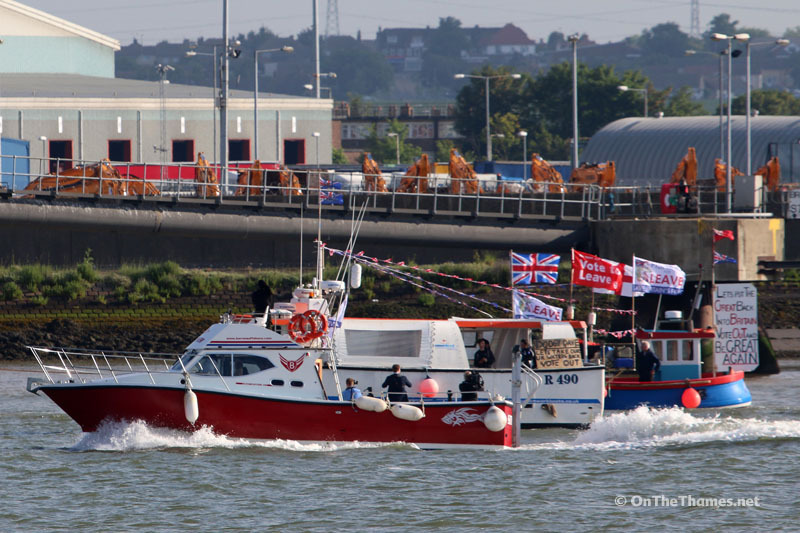 The fishing armada, which was joined by UKIP leader Nigel Farage, left Ramsgate in the early hours, passing Southend at 0500 and Gravesend at 0730. Fishing for Leave are campaigning in favour of leaving the European Union at next week's referendum to restore "sovereignty to the British Parliament and with that national control over the 200nm limit and all waters and resources therein"
The water-borne protest took a surreal turn when Sir Bob Geldoff and Remain supporters arrived in the Upper Pool in the charter boat Sarpedon. 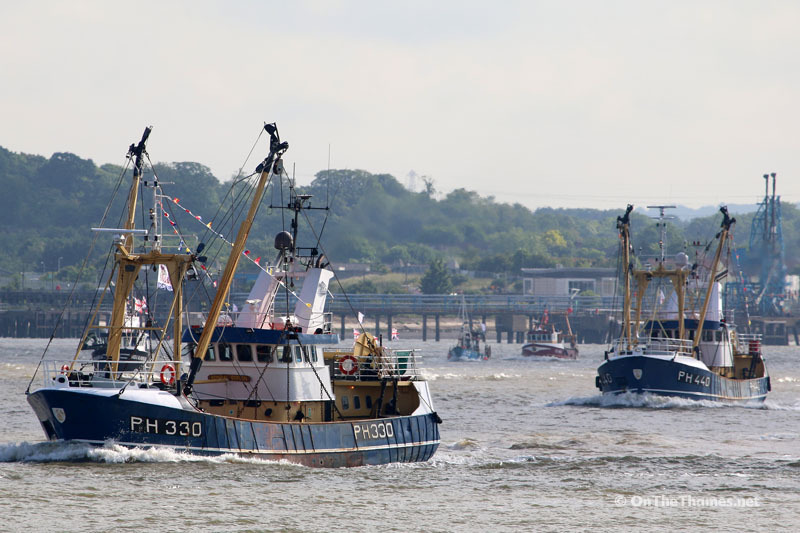 Addressing Nigel Farage, Sir Bob said: "You're no fisherman's friend. You're a fraud, Nigel. Go back down the river because you're up one without a canoe." Fantastic! 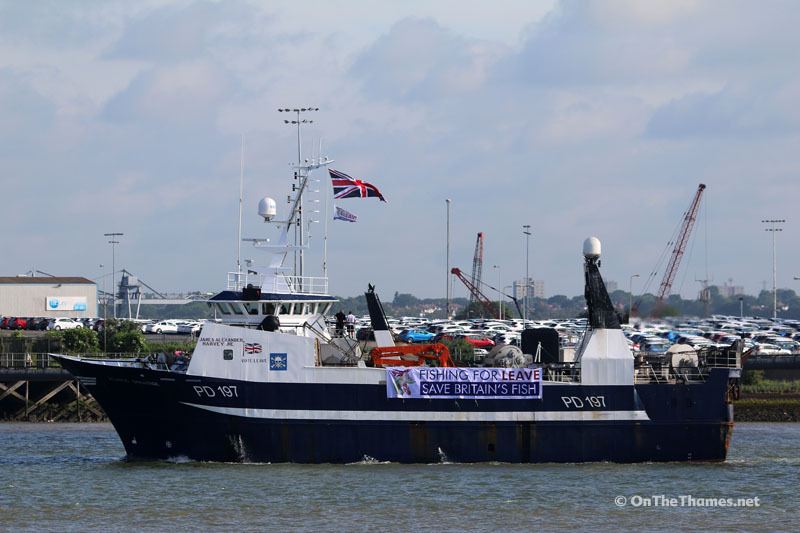 Makes me proud to be British and behind you all the way you brave Fishermen. 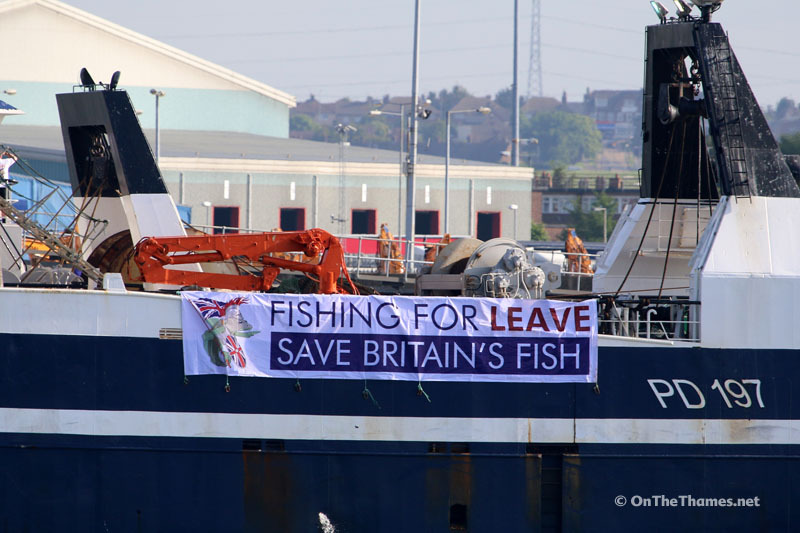 Vote Leave and lets take back control of ours waters and fishing!